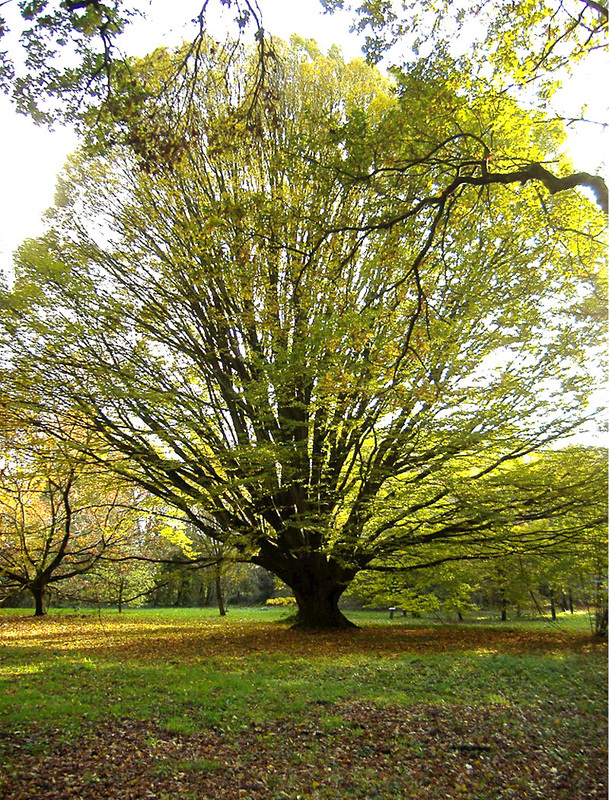 A large Hornbeam in the Arboretum at Dyffryn Gardens. This is a British Champion tree of the form fastigiata. 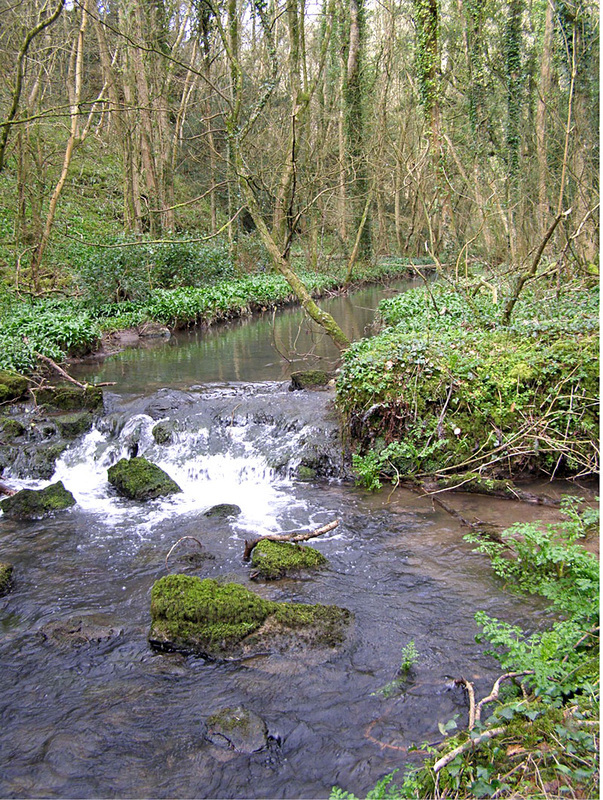 There are several examples of good deciduous woodland near Wenvoe, most of which have Rights of Ways running through them. 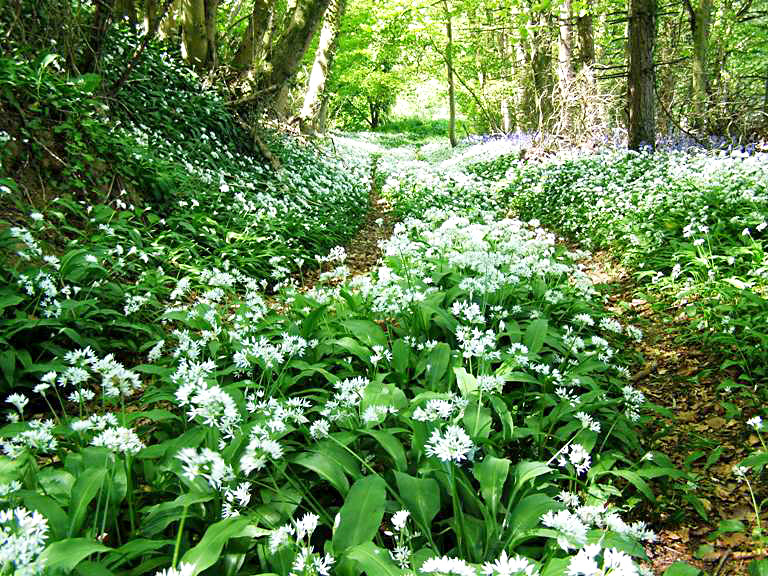 Some are likely to be Ancient Woodland as they include plants such as Herb Paris, Greater Butterfly Orchid and Moschatel. Close by are some Woodland Trust woods of which Cwm George has the rare Italian Arum, Arum italicum ssp. neglectum. 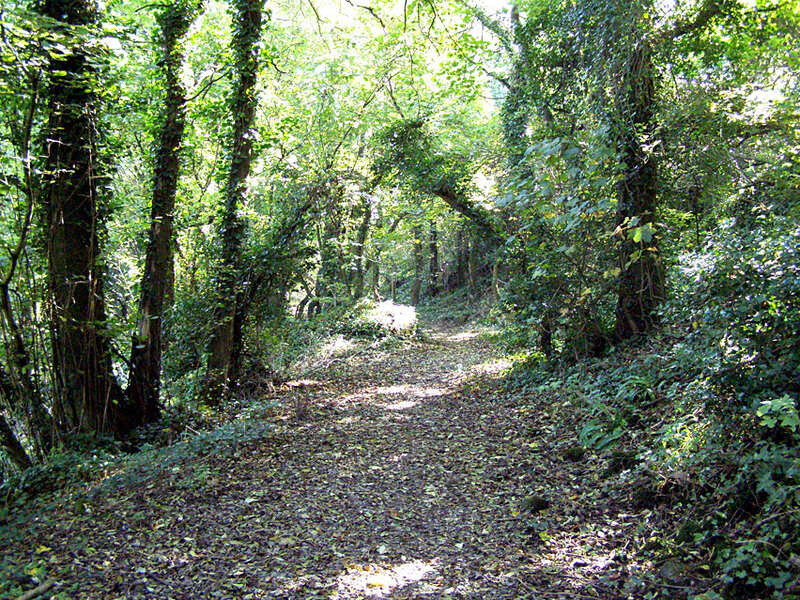 Wenvoe Woods can be reached via Pound Lane at the top of Wenvoe and taking 'Nina's Path'. To the north there is also a footpath leading from the corner of Walston Road up to Whitehall Farm alongside Whitehall Quarry. 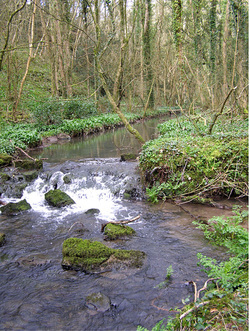 Near St Lythans is Coed Nant Bran with a public footpath along its northern edge. 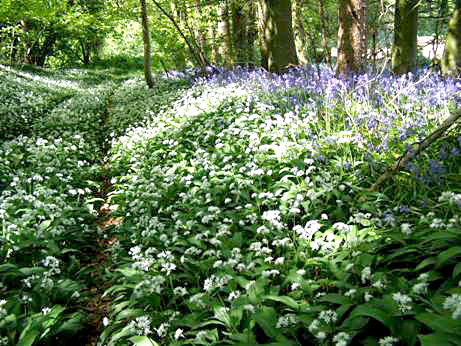 Bluebells, Wild Garlic, Wood Anemone and Moschatel grow here along with Early Purple Orchids. Wrinstone Woods (referred to on old maps as Coedpenllwynog) has a classic walk from Wrinstone Farm through to the Salmon Leaps and you may find the Italian Arum in the woods. There are many Dragonflies and Damselflies with both of the Demoiselles present. Herb Paris and Dormice have been recorded nearby. Dyffryn Gardens (which is partly in the Parish of Wenvoe) contains a fine Arboretum. The approach to the Upper Orchid Field Nature Reserve from Wenvoe.